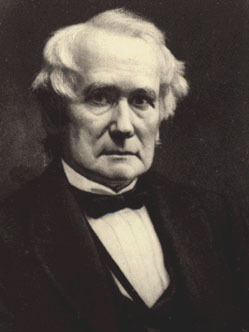 Henry C. Carey (1793-1879) – American economist and sociologist, often called the founder of the American school of economics. His greatest apostle is the subject of this podcast. Proud to be an American (Schooler). For those who’ve finally mastered the tissue-thin liberal-conservative world of simplistic philosophical and ideological dualism, let me commend to you the American School and both its founder and prolific student and proponent, Messrs. Carey and Tarpley respectively. Sui generis. Webster Griffin Tarpley is simply without peer as one of the most and vocal incisive critics of Anglo-American hegemony and predatory imperialism, an analyst, historian, author, name it. His lectures, books, presentations, speeches, radio work are like none other. He’s magnificent. And I don’t use that form of praise lightly. If for no other reason — and that’s an absurd notion in and of itself — to listen to the words of the good Doctor, his history lessons and disquisitions especially anent Venetian intelligence cabals alone are worth the price of virtual admission. His politics fits not simply into any category, which already wins me over. He’s quick to slam the left as he is the right. His books are equal-opportunity indictments whose gravamens target Bushes 41 and 43, Obama and Wall Street mercilessly. A peerless polyglot, Tarpley is that professor you wish you had. In a world of warmed over pseudo-intellects and pathetic autodidacts, Dr. Tarpley has no equal. On tap for this confab. The subject matter is voluminous, plenary and considerable. The American School of Economics explained in detail. Let’s hear it for Alexander Hamilton, Friedrich List and Henry Charles Carey! Advocating the nationalization of the Fed, from central bank to national bank. Greece’s Alexis Tsipras and SYRIZA and what that means to you. Or should mean. The Wall Street Sales Tax and why it makes complete sense. The horror(s) of Libertarian economics, the Austrian School and genocidal austerity. Paul Krugman’s almost got it. Sorta. Unafraid of the IMF and Federal Reserve, Belarus President Alexander Lukashenko defends his country and currency with war dirigism. Please take notes. There will be a test.